Being a client-centric firm, we manufacture, supply and export a wide assortment of Brazilian Curly Wigs. These products are available in the market at industry leading prices. The products offered by us are available in the given time frame. Vedika Exports Natural Colour are available. 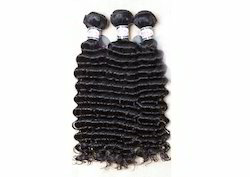 Deep Curly Hair, Pack Size: 8-32 Inch. Owing to the competent team of deft personnel, we are engaged in offering a wide and supreme range of South African Hair. These south african hairs offered by us are processed from high grade human hairs sourced from the authentic vendors of the market. We are manufacturers and whole sellers of Indian, Brazilian and Peruvian human hair. We have both virgin and remy hair. That is virgin without any chemical process and remy if the buyer wants to get the hair textured into a particular style. 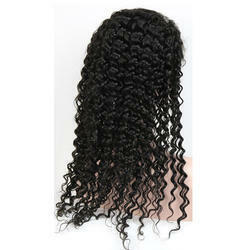 Our company has achieved widespread recognition in providing Brazilian Deep Curly Hair.